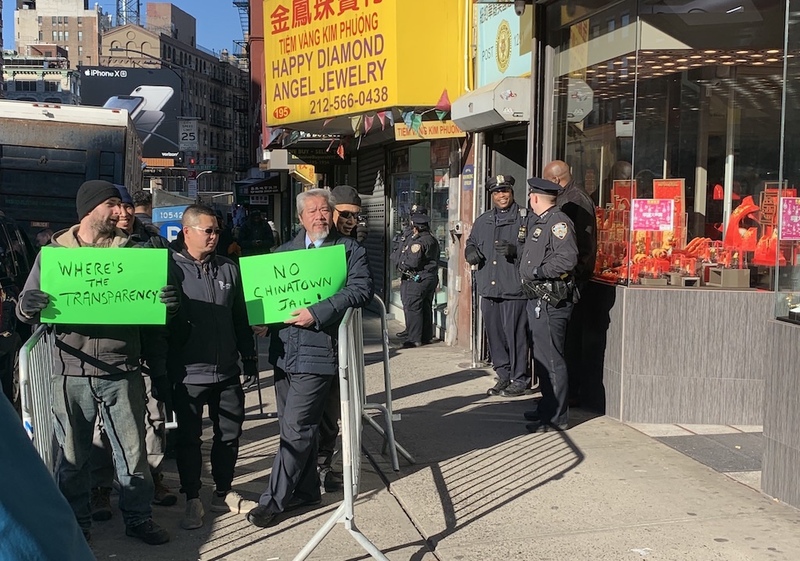 Mayor Bill de Blasio came to Chinatown this morning to discuss controversial plans for a high-rise jail with local elected officials and about a dozen local stakeholders. But some of those who weren’t invited, like Chinatown resident Karlin Chan, were left out in the cold. 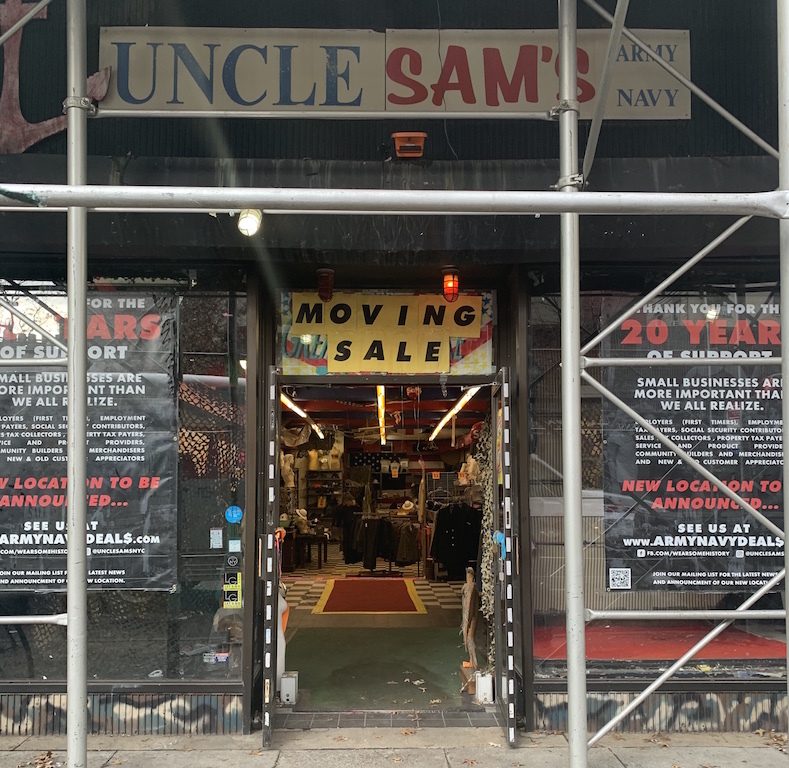 There’s a U-Haul parked outside Uncle Sam’s Army Navy Outfitters store on 8th Street, because the thrift store closed yesterday after 20 years in Greenwich Village. 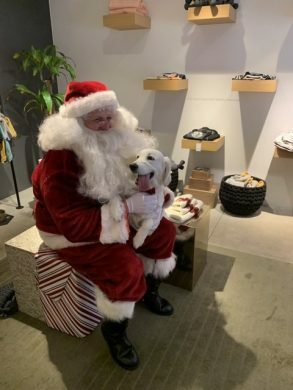 New Yorkers come together for the holidays, and the pomeranians and chihuahuas among us are no different, except that their parents can keep the magic of Christmas alive for their entire lives, because they’ll never know that Santa doesn’t exist. Suddenly, people you haven’t seen in years are asking to squeeze an air mattress into your apartment’s shared living space (hallway), and include you in their crazed plans to join the crush around Rockefeller Center to look at an average-sized Norway spruce. The tree lighting is tomorrow, by the way; the Department of Transportation has declared Wednesday a “gridlock alert day,” one of 16 during the holiday season, when driving through Midtown takes twice as long as normal. Alec Baldwin was in court this morning defending himself against allegations that he attempted to assault a guy over a parking space–an impulse that is no doubt familiar to the nearly half of New York households that own cars. A data collection firm found that nearly a third of US drivers surveyed had been in a fight over a parking space in the previous year. It’s hard to imagine that figure isn’t higher in New York City, home to some of the country’s most aggressive drivers, and the third-most congested city in the world. A major target of city driver ire is the daily dance known as alternate side parking, which forces drivers without the benefit of a driveway or expensive parking-garage spot to move their cars in the middle of the day as they await a zamboni. Re-parking is incredibly time-consuming, leading many people to just double park on the other side of the street–or sometimes, if there’s a bike lane, in the middle of the street. And car ownership is on the rise in the city–up 9% in the past four years–possibly due to new rideshare drivers. 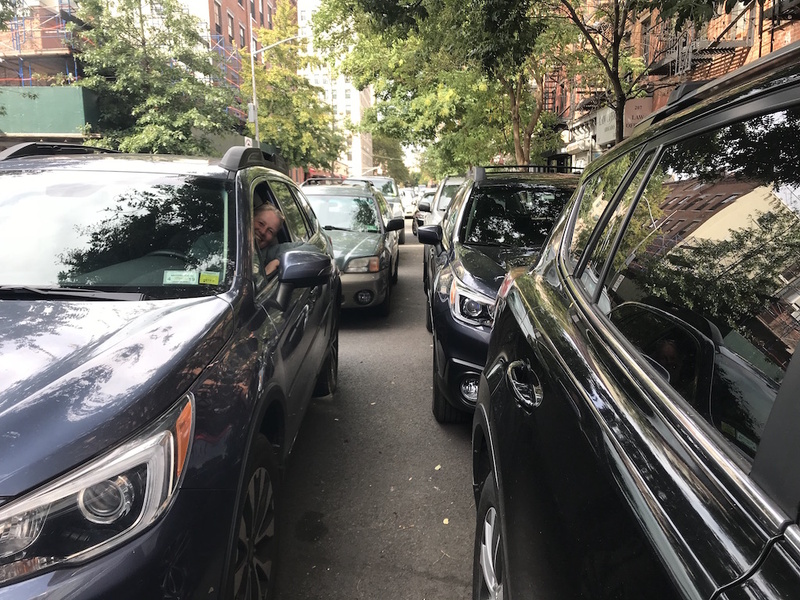 We talked to some brave souls occupying their double-parked cars in the East Village on street cleaning day to find out what they think about during their two-hour purgatory. 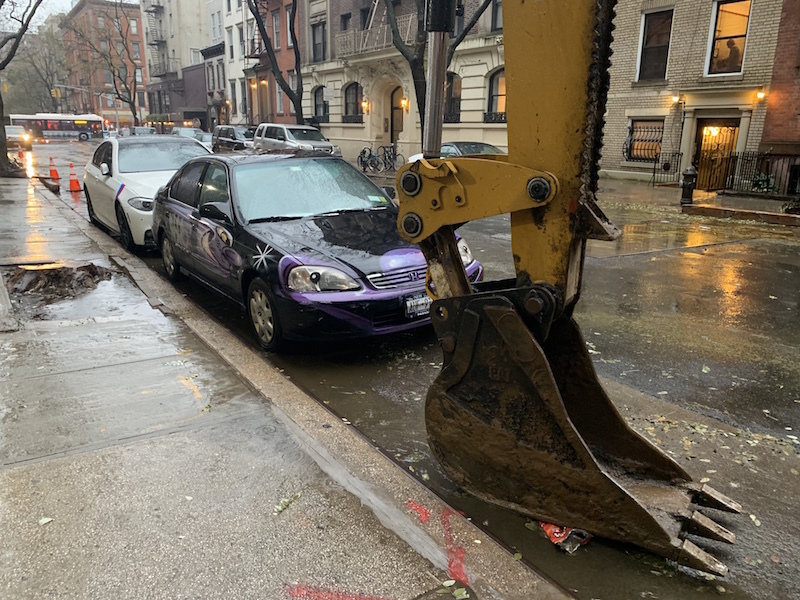 Failing to move during street cleaning is a $65 fine in most of Manhattan, and it’s $115 for double parking–but head down any Village side street during its alternate-side parking hours and you’ll see a solid row of unattended, double-parked cars. Brigitte Landou has a strategy for parking her 18-year-old beater car, which is covered in the work of the painter Kenny Scharf, a staple of the 1980s East Village art scene. When she can’t find a spot on her usual street, which is partly blocked with construction right now, she parks on the block of the nearby police precinct, which is exempt from the alternate side parking hours. Brigitte Landau’s car, painted by Kenny Scharf. But Landou rarely has to resort to the NYPD’s block, she said, because she’s good at finding spots. She credits her cool-headed driving to her mother, who learned to drive at 18 to flee the Nazi occupation of France and, she says, ended up receiving an award as the “best driver in France” for going 67 years without a single accident. Still, things can get dicey on the streets. “Sometimes you’re ready to park and someone–from New Jersey, probably–comes and tries to take your spot,” Landou said. Once, Singer said, he got hit by a street cleaner. It was on the zamboni’s second pass on the street, after it had hit another car and flattened the tire. 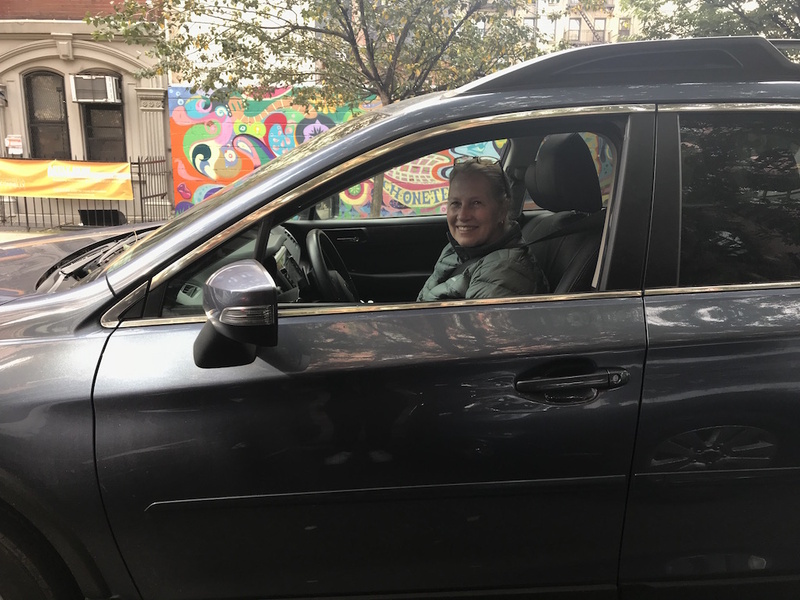 Annie Dumke, who uses her car to visit her mother in Westchester, reads during street cleaning; a recent pick was the book Car Trouble by Robert Rorke. 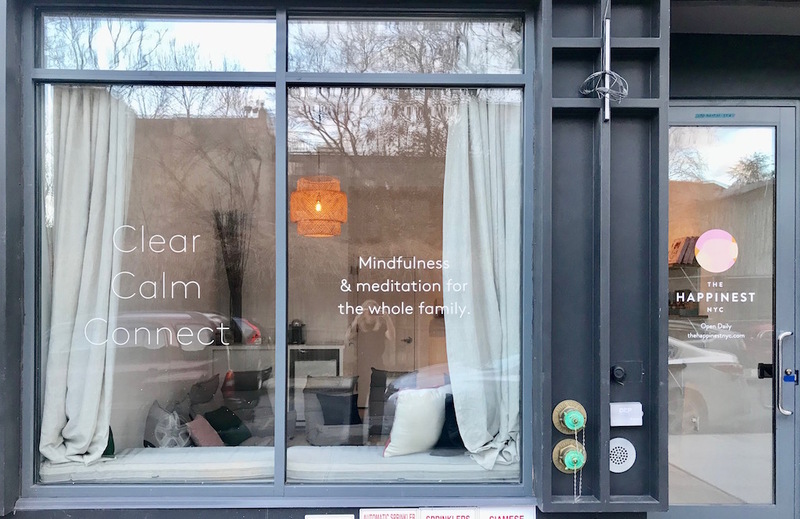 Dumke and her husband are staying in a friend’s East Village apartment while they find a place in the city, where they’re returning after a stint in the suburbs. 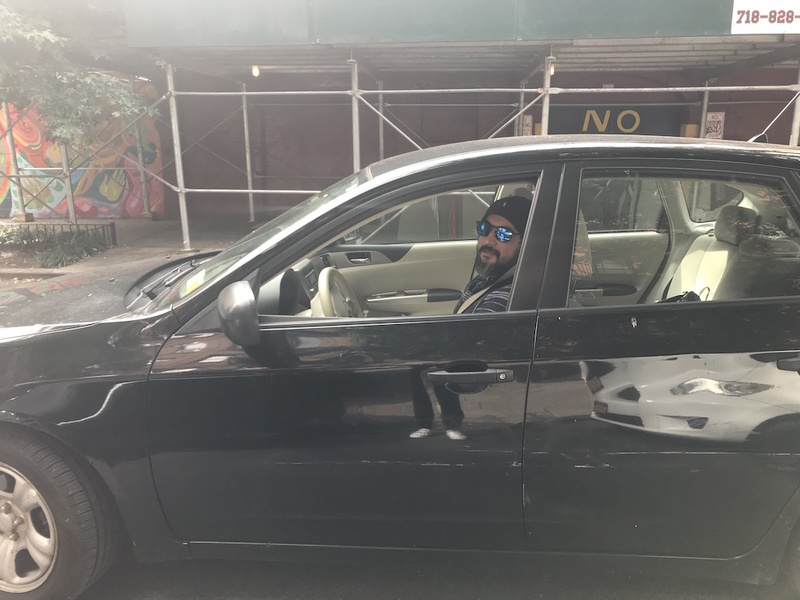 It won’t end the city’s street cleaning ritual any time soon, but some drivers hope that if the proposed congestion pricing goes through next year, our parking woes might be ever-so-slightly alleviated. “The less cars, the better,” Dumke said. Landou, on the other hand, is totally against congestion pricing, which she said will be difficult for older Manhattanites on fixed incomes who need a car for running errands and going to appointments. Verizon Is, Like, So Over Cell Phone Stores and All About Immersive Pop-Up Experiences Now, You Know? Are you a very cool, very hip millennial? Do you live your life on the “net”? 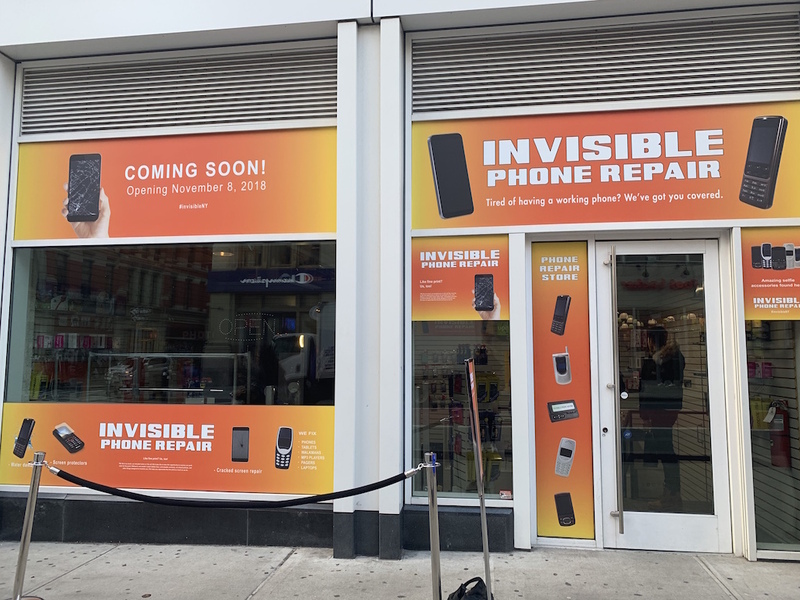 Verizon’s new subsidiary launched a pop-up in Soho to let you know they get you, and they’re like, same! 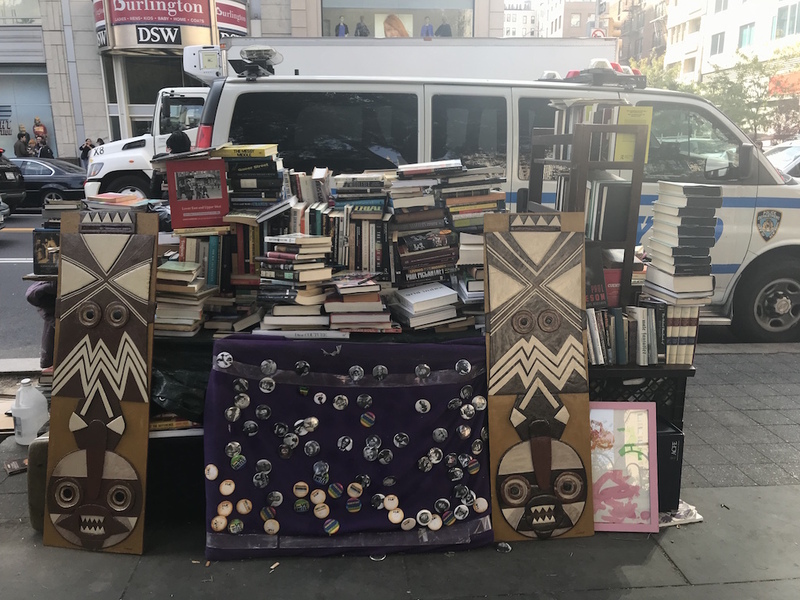 Here’s another chapter of Book Hawks, in which we meet the sidewalk booksellers who brave the elements to bring you good reads. D, who asked that we not use his full name, is a poet and fiction writer who sells books on the sidewalk by Union Square. He splits his time between New York and New Orleans, where he does street poetry for people on a typewriter. 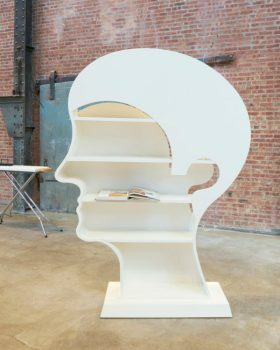 Nicola L’s “Library Head,” 1994 (courtesy the Sculpture Center and the estate of Nicola L). Nicola L was making art around the same time as other household pop art names like Andy Warhol. 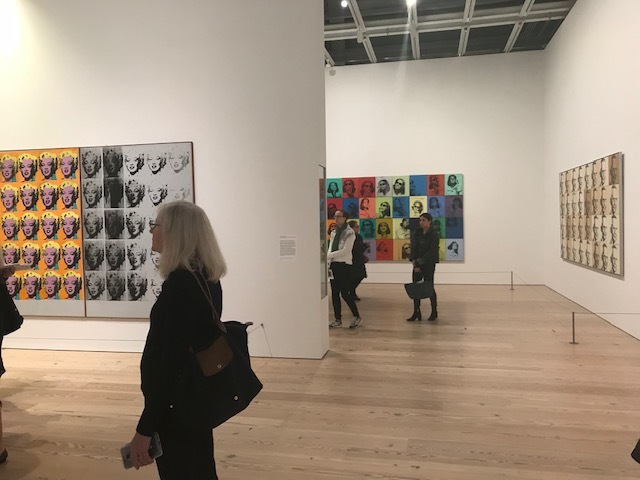 But while Warhol has a huge exhibition at the Whitney right now (with a sick gift shop), Nicola L didn’t get her first major retrospective until last year. In middle school, my best friends and I passed a journal around filled with doodles and secrets. Today, two middle-school best friends took this enterprising spirit to the next level, opening the first physical space for their forward-thinking clothing line. Andy Warhol once called New York the best place in the world, and Warhol was the patron saint of the alternative East Village culture that today’s NYU students both mourn and gradually cannibalize. Head to the Whitney Museum of American Art next week to pay homage to the artist who pioneered loving stuff ironically, from selfies and celebs to fake news. 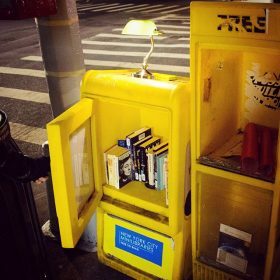 On your way to the polls, grab a leftist polemic or a dystopic novel from the guerrilla mini-libraries that started popping up in old newspaper boxes around Manhattan yesterday.